With the help of our vast experience in this industry, we manufacture and supply Oil Filters that gives excellent results in automobile industry. These products are available in various specifications to meet the requirement of customers. Our products are also available in bulk to meet the huge demand of market. 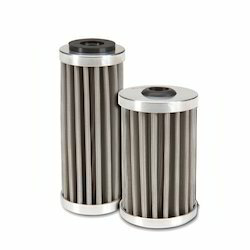 Oil Filters - KPS offered comprise quality finished filters made from medical grade type 304 stainless steel micronic filter cloth. Since our commencement, our firm is engaged to introduce a premium quality array of Oil Filters - ATLAS COPCO. These oil filters find wide application use in mechanical units, parts manufacturing companies, automobiles and refineries. There are various versions and models made available in the segment. Clients can find filters effortlessly meeting their requirements and specification in the domain. Apart from this, clients can get the filters from us at reasonable prices. we can supply Oil filters for Atlas copco, Ingersoll-Rand, ELGI, Kaeser, Chicago Pneumatic, Boge, Gardner Denver, Sullair etc..
As a trust worthy organization of this domain, we are committed to offer our clients a superior quality assortment of Oil Filters – KPC. The provided filters are highly demanded in mechanical and refinery industrial sectors. 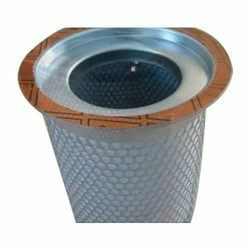 At our vendor’s end, the provided filters are manufactured by using greater quality raw materials with the help of ultra modern techniques by our experienced professionals. Additionally, the filters can be bought from us in various sizes and shapes at economical prices. Serving our clients in the past long years, we are able to manufacture, supply, trade and export high quality array of Oil Removal Filters. These oil removal filters are very reliable tools for removing and separating solid impurities into the oil system. Our oil removal filters are very robust and sturdy with excellent designs and supreme functionality. These oil removal filters are flawlessly designed and fabricated to ensure smooth and trouble free applications. 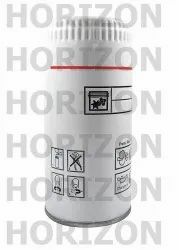 We are offering our oil removal filters at economical prices. As a trust worthy organization of this domain, we are committed to offer our clients a superior quality assortment of Oil Filters – IR. The provided filters are highly demanded in mechanical and refinery industrial sectors. 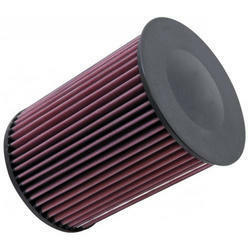 At our vendor’s end, the provided filters are manufactured by using greater quality raw materials with the help of ultra modern techniques by our experienced professionals. Additionally, the filters can be bought from us in various sizes and shapes at economical prices. As an affluent name of this domain, we hold expertise in presenting high quality Oil Filters – CPT. At our vendor’s end, these filters are designed and manufactured after researching on various aspects such as superior performance and life expectancy. The offered filters are primarily installed for processing machinery depending upon applications. Provided filters come with outer heat saving insulation covers. Such designs offer the optimum combination of physical strength and high filtration. Oil Filters - ELGI offered comprise filters designed to filter impurities from compressed air.